The AIF (Alliance of Industries of the Future) has presented Delta Dore, a company specialising in comfort in the home and energy consumption management, with an award for its approach aiming improve its production cycle while simultaneously experiencing strong growth and expanding the number of products it has on the market. The honour comes from the Alliance of Industries of the Future, a central part of France's industrial redevelopment program that was laid down by the Ministry for Industry, and the Industry of the Future label demonstrates an aim to deliver technological leadership, competitiveness and sustainability. The award specifically recognises the French company for having developed an innovative project to organise its production and offer visibility to digital and technological solutions on the national and international market. Delta Dore has been innovating in energy management, security and the control of automatic mechanisms in all kinds of buildings for close to 50 years now. A key player in the digital transition in this sector, the group uses all of its know-how to support users and provide them with increased comfort and energy savings. The Delta Dore factories couldn't be a better example of this philosophy, with digital equipment being used to overcome the different challenges posed by manufacturing: improved quality and reliability of products, improved working conditions and improved productivity of factories, with all of this making the company more attractive for future talent. 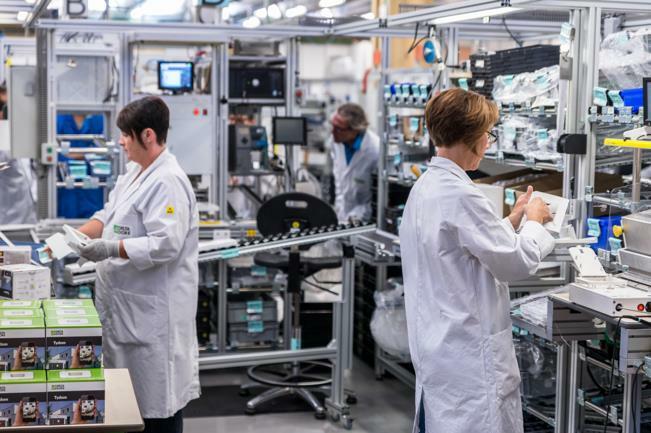 The middle-market company has received "Vitrine Industrie du Futur" certification for its project aiming to increase competitiveness by 30% and reduce musculoskeletal disorders on both sites. To respond to these two challenges, the Made in France group adopted a robust approach by using targeted organisational and technological innovations such as connectivity to support the IoT, collaborative robotics and novel quality control systems. In order to support employees throughout the company project and work together towards this common objective, various solutions were developed in recent years: training in using new technology for production, personalised e-learning modules, co-construction and discussions, etc. This review of human resources allowed Delta Dore to respond to its objectives for performance, quality and improving working conditions for employees. "We are proud to have received "Vitrine Industrie du Future" certification, especially since we are the first company in Brittany to have done so. This recognition validates our company's aim to place people at the heart of its development. The blend of quality, productivity and flexibility is not so much a product of any technique, but comes from human endeavour. The contribution made by our teams is supported by coherent management and social responsibility policies for the whole site". Philippe Noslier, Industrial Director with Delta Dore. a process that meets the challenges posed by maintaining industrial activity and employment in France. "Vitrine du Futur" certification underlines Delta Dore's commitment to combining technological innovation and social policy, central pillars for digital transformation in the sector.